Although most are familiar with the trial as a way to settle disputes, there are alternative ways to settle disputes without actually going to court. Two common ways to resolve disputes without going to court is through arbitration or mediation. Both arbitration and mediation are a form of Alternative Dispute Resolution (ADR). Most people are not familiar with the difference between arbitration and mediation, but there are distinct differences between the two. Black’s Law Dictionary describes an arbitration as “the investigation and determination of a matter or matters of difference between contending parties, by one or more unofficial persons, chosen by the parties, and called ‘arbitrators,’ or ‘referees.’” However you describe it, arbitration is giving judicial-like power to a third-party arbitrator to decide the resolution of a dispute and assign an award. There is no jury in an arbitration. Arbitration often arises because a contract between two parties dictates that in the event of a dispute between the parties, they are to submit to mandatory arbitration to resolve the dispute instead of going to court. In arbitration an arbitrator acts like an umpire (or judge) and makes a binding decision between the two parties. A primary goal of arbitration (versus full-blown litigation in court) is that it is generally quicker that a normal court case (which can take years to litigate) and, as a result, should cost less than going to trial in a regular court. Generally speaking, some form of discovery (including potentially depositions) and document exchange will occur between the parties prior to the arbitration hearing (i.e., the trial before the arbitrator). The federal law governing arbitration is contained in the Federal Arbitration Act. A.R.S. 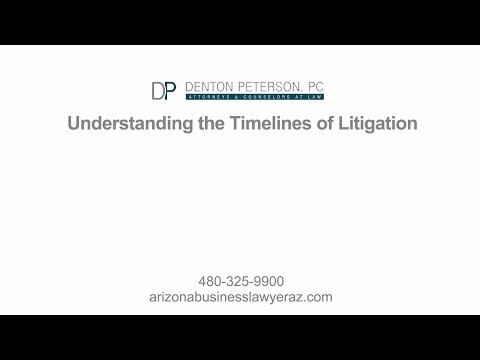 § 12-3001-3029 contains Arizona’s law on Arbitration, known as the Revised Uniform Arbitration Act (RUAA). The RUAA does not apply to all contracts or agreements to arbitrate and thus it is important to talk with an attorney about the specifics of an arbitration agreement. A.R.S. § 12-3006(A) states that, “An agreement contained in a record to submit to arbitration any existing or subsequent controversy arising between the parties to the agreement is valid, enforceable and irrevocable except on a ground that exists at law or in equity for the revocation of a contract.” For the most part, then, arbitration agreements are recognized as binding on the parties. The court will decide whether or not a particular agreement to arbitrate exists or is binding (see A.R.S. § 12-3006(B)). Mediation is quite different from arbitration. Mediation is a process whereby the parties to the dispute meet with a neutral third-party individual, called a mediator, who attempts to help the parties come to an agreement on the dispute without have to go through the long litigation process and eventually a trial in court. The mediator is not like an arbitrator, in that the mediator’s decision on the dispute is not final or binding. Therefore, regardless of what side the mediator may think is correct or the outcome the mediator wants, the parties may still choose to disagree with the mediator and take their case to court. Mediation is a popular method of Alternative Dispute Resolution for many reasons. For one, mediation is widely used because, unlike the arbitrator, the mediator does not have the authority to “decide” the case. The mediator is merely a facilitator, who attempts to work with the parties’ differences to come to a resolution. Mediators are often individuals who are experienced in the law, such as retired judges or lawyers. Second, mediation is less costly than arbitration. Most favor a cheap alternative to the thousands of dollars that may be required to go to court and litigate an issue. Third, mediation is also much more informal than arbitration. It is merely a place where both parties may express their feelings and thoughts about a matter. The mediation process itself does not have a formal (or informal) discovery process whereby the parties exchange documents or take depositions prior to the mediation (although, the parties may choose to exchange documents prior the mediation for strategical reasons). The idea behind going to mediation is that both parties will save the costs, time, and stress of litigation through the court system. An effective mediator will help both opposing sides recognize the weaknesses and strengths of their own case as well as the weaknesses and strengths of the other side. That way, both sides will have an objective view of the case in hopes of coming to a resolution of their dispute. In Arizona mediation is a viable option. A.R.S. § 12-2238 explains that, in Arizona, mediation may occur before or after the filing of a complaint. The mediation discussions are confidential. Thus mediation puts much less pressure on the opposing parties in terms of what the parties say during mediation. While mediation may not lead to an agreement and litigation may still ensue, mediation is a viable alternative to arbitration or going to court. This short article is only intended to give a basic introduction to mediation and arbitration. 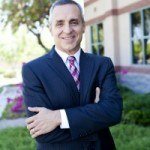 To better determine whether mediation or arbitration may be right for your individual situation it is best to contact an experienced Arizona mediation and arbitration attorney. The attorneys at Denton Peterson, PC can advise you on the details and the specifics of how mediation or arbitration could help you.